Review: We've long felt that there's something in the water down in Melbourne. Australia's second city is home to a surprisingly high number of talented producers, musicians and DJs. The latest outfit primed for international success is 30/70, a nine-piece collective that's has been doing its thing since the middle of the decade. 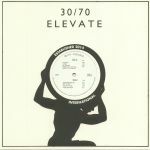 Elevate, their first 12" for Rhythm Section International, offers an expansive showcase for their genre-bending, fusion-heavy style, where bustling jazz instrumentation and seriously soulful vocals are effortlessly blended with elements of Afrobeat, jazz-funk, broken beat, hip-hop and hazy downtempo grooves. It's a deliciously warm and summery set of tracks, all told, suggesting that 30/70 will be a force to be reckoned with for years to come. Review: Somewhat confusingly, the two Al Dobson tracks featured on this must-have 12" are not taken from his superb Rye Lane LP, but rather a CD of possible album tracks the producer gave to Rhythm Section International last year. Both cuts are typical of his dusty, rhythm-centric sound, and are particularly sparse. This, though, just makes the remixes even more remarkable. Polish producers PTaki turn "Santiago Black" into a midtempo chunk of analogue-sounding midtempo house, complete with drifting vocal samples and a wonderfully dubby bassline. Arguably even better is Ruf Dug's eccentric version of "Kirton Street", which wobbles, pulses and darts with chiming melodies, rough sub bass and hissing, cymbal-laden percussion, while retaining the blazed feel of Dobson Jr's original. Review: With just a few low-key releases behind him, you'd be forgiven for not being familiar with the work of South London beatmaker Al Dobson Jnr. Such a situation will undoubtedly soon change with Dobson Jnr primed to release album length projects on IZWID and Rhythm Section International, two fledgling labels associated with respected selectors. Before Sounds from the Village Vol.1 drops on the former (overseen by KUTMAH) the man called Al inaugurates the latter label, an extension of the Rhythm Section club night hosted by Boiler Room's Bradley Zero. Despite his status as a South London celebrity, Zero is a steadfast supporter of his local roots and the vinyl format so it's great to see him offering Dobson Jnr the platform to shine. And shine he does on Rye Lane Vol 1, a wonderful 11 track collection that is comparable in execution and mood to Mo Kolour's sublime debut. 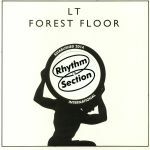 Review: Following a fine contribution to YAM's Youandmusic Volume 2 EP earlier in the year, Lewis "LT" Taylor pops up on one of his favourite labels, Rhythm Section International. Taylor has been described by label chief Bradley Zero as a "prodigal talent" and there's plenty of evidence to support that view on this debut EP proper. Opener "Untitled (Chesney)" is a wonderfully bouncy and sun-kissed chunk of Italian-influenced piano house, while "Menosphere" sees him wrap lusciously positive melodic motifs and loved-up synths around a chunky breakbeat house rhythm. Arguably even better is title track "Forest Floor", a sticky and humid, tropical breakbeat workout full of tribal percussion and glassy-eyed sunrise electronics. To round things off, Taylor delivers more feel-good, breakbeat-driven deep house positivity in the shape of "North Circular". Review: Next on Rhythm Section International is newcomer Mallard. Discovered by label boss Bradley Zero after being a dedicated regular at 'almost every RS dance since 2016', the South London based multi-instrumentalist makes a serious first impression with this debut EP. Mallard's productions demonstrate, in the words of the label itself 'a keen ear for groove with a level of musicality rarely heard in electronic productions.' The 20 year old has already developed a unique sound palette and prodigious production style set to make him a name we will be sure to hear more of. This EP, at once varied in tone and tempo is held together by a strong sonic identity and an overarching artistic vision. Mallard's first offering to the world via Rhythm Section is one to remember. Review: With releases on 22a, Beat X Changers and Wolf Music, Bradley Zero is very pleased to welcome Neue Grafik onboard his revered imprint. The record itself paying homage to the Parisian house dance scene, while taking cues from the broken beat sound of London - like on the emotive slo-mo soul of "Innervision" feat Wayne Snow or "To Peckham Rye" which definitely takes its cue from Kaidi Tatham. We particularly enjoyed the very Three Chairs influenced deepness of "Dance To Yemanjaor" and the the ruff 'n' dusty MPC jam "Why You" reminiscent of Motor City Drum Ensemble's Raw Cuts series. The tracks are largely sample based, but also employ much more live instrumentation than in previous productions. Review: London-based Michael Colvill has risen to considerable prominence within the South London musical community since 2015, after the self-released Midnight Moods mixtape, guest appearances on tracks by Glenn Astro and Jamie Isaacs and hosting a radio show on Balamii. As MC Pinty, his sound takes influence from the introspective poetry of The Streets, the twisted late-night moods of friend and collaborator King Krule and the jazz-inflected bounce of production partner Maxwell Owin. From the blunted urban blues of "Tropical Bleu", to his clever rhyming over sultry late night deep house on "Ceasors" or the jazzy drum 'n' bass of "Nightcrawler" (calling to mind the mid '90s flavour of legends like Alex Reece or Peshay) - City Limits is perfect to plug in to on one of those trips on the night bus back to Peckham. Review: Australian group Retiree: the musical project of Matt Crowley, Tori Holleman and Marco Vella return to Rhythm Section with a new record. The album's songs explore the theme of 'house or home' and what that means in present day Australia for different people. They journey from an aboriginal tent embassy on the south coast of New South Wales, a retirement village, a one room flat in the suburbs of Melbourne and a sleepless 17 hour stop over in Malaysia. From the slo-mo neon-lit pop of "Migrate", the catchy '80s revivalism of "Pumice Stone" or "Line In The Dirt" and even moments of balearic deep house like "Mystery Bay" - Retiree present a cohesive effort here. Definitely ones to keep your eye on in 2018 and beyond. Review: Next up on Bradley Zero's Peckham based imprint, following up great ones by Neue Grafik, 30/70 and Mallard is String Theory from Glasgow. They serve up some acid jazz and broken beat style numbers, which will appeal to fans of early Mark De Clive Lowe or Atjazz. From the chill vibe of "Dirty High" which is so emotive, through to the uptempo "Con Moto" which throws in a bit of Detroit style melody, dusty deep house beats and creamy Rhodes keys for added measure. Closing out the impressive EP is the super sultry "Lucidity".